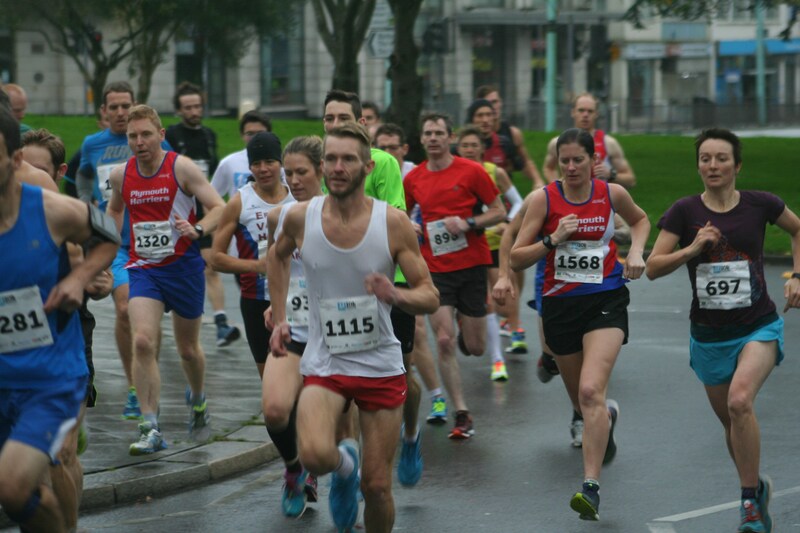 EXMOUTH’S Tom Merson retained the Plymouth 10k title on Sunday morning. The 29-year-old finished in a time of 32 minutes dead. Merson’s time was 24 seconds slower than last year but the wet and windy conditions made Sunday’s event tough. There was a great battle between two of the region’s promising teenagers for second spot, with British youth triathlon champion Travis Bramley edging out Erme Valley’s Owen Parkin over the final 200m. City of Plymouth athlete Bramley, who is still only 16 and better known as a 3,000m runner, clocked 35.05 to show he can step up to longer distances. Parkin, 17, finished four seconds behind Bramley in third. Newquay’s Tony Wright was fourth in 35.14, with South West Road Runners’ Sam Hopton out-sprinting Erme Valley’s Allister Bristow for fifth. Hopton clocked 35.25 with Bristow a second behind. There was a good battle between Plymouth Harriers’ Tom Humphrey and Ross Farrer for eighth place. Humphrey got it by three seconds, finishing in 35.35. Bere Alston’s Ben Neale was 10th in 35.46. Cornwall AC’s veteran international Emma Stepto won the women’s race in 37.37. 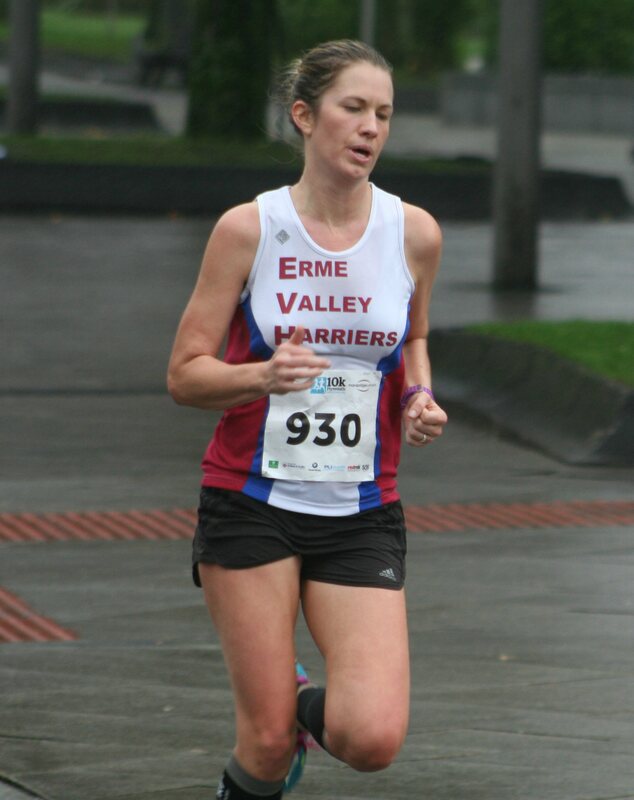 Erme Valley Harriers filled three of the top five female spots, with Alison McEwing (pictured) taking second in 38.49, Cloe Perry fourth in 39.04 and Alison Thorn fifth in 39.32. The Erme Valley trio were separated by Maddie Horton, who took third place in 38.55. Nearly 1,500 runners finished the race, which took athletes up Royal Parade and along the Embankment before heading home. Images are all low res to make slideshow easier to view.